Contex SD One Plus 36"
The seventh generation SmartLF SG ENERGY STAR qualified 36 inch scanner combine a unique Colortrac designed bi-directional LED light system that has low energy requirements, a longer life and reduced environmental impact with the superior color imaging attributes of CCD. 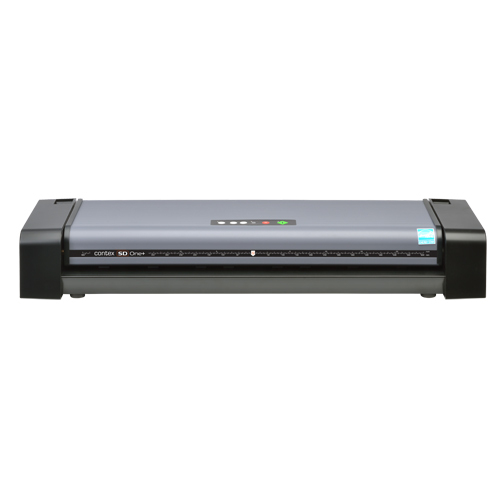 SmartLF SG Series large format scanners have all the advantages of CCD technology's superior color imaging - the ability to scan a wide gamut (range of colours) and a high dynamic range (ability to see detail in dark and light areas) - combined with 1200 dpi optical resolution, the highest optical resolution available in any CCD wide format scanner in the market today. 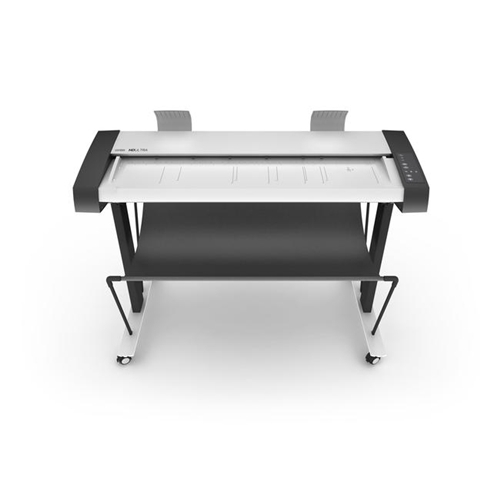 This makes them perfect for capturing vibrant, accurate colors for graphics professionals as well as sharply defined line detail on technical documents and maps. 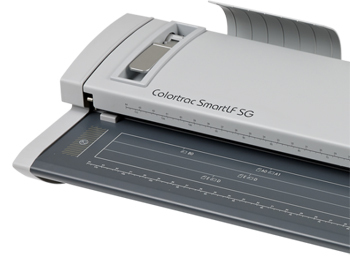 SmartLF SG scanners use the advanced SureDrive paper transport system to maintain accurate document positioning as the document passes through the scanner. 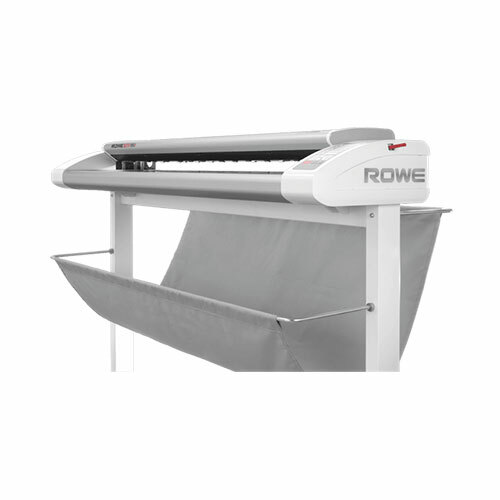 Combining this with the ClearView bright white bi-directional LED illumination system ensures that with SG even folded documents scan accurately and as shadow-free as possible. Images are scanned using 48-bits (color) or 16-bits (monochrome), with the best 24 and 8-bits selected as image data respectively. Traditional CCD scanners have superior color imaging but are disadvantaged by their fluorescent lighting systems. 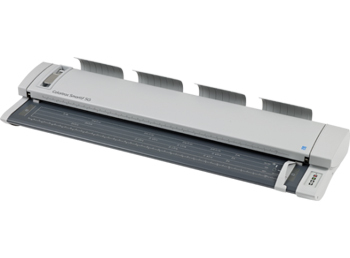 By using white LEDs instead of fluorescent tubes, the SmartLF SG is able to maximize the benefits of CCD while saving time and energy. Thick media operation is now full-time on all SG Series scanners. 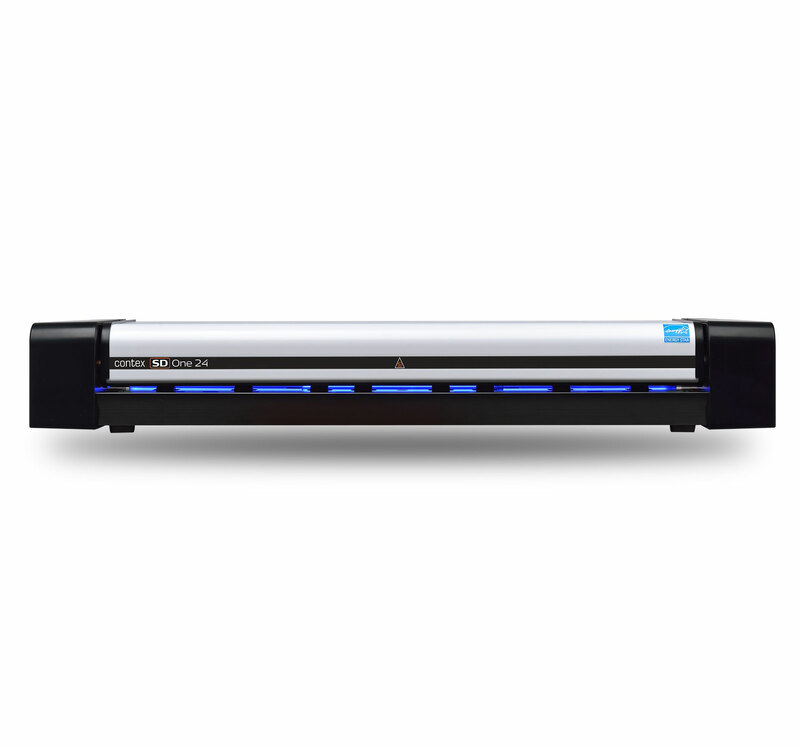 To raise the lid and increase the thickness capability of the scanner raise the lever on the left-hand side of the scanner lid to its maximum position then load the document manually. Lower the lever to grip the media and begin scanning. All media must be loaded panel-side justified with SG. While a fluorescently lit scanner can be used within five minutes of switching on, it should really be left to warm up for about 30 minutes in order for the tubes to reach their optimum light intensity and for the tube temperature to reach equilibrium. If this is not done color match and possible stitch inaccuracies caused by a still cold chassis may result. ClearView white LED illumination used in SmartLF SG produces high quality scans just like fluorescent illumination but unlike fluorescent tubes the color temperature from LEDs remains stable from first power-up to final power-down. No more waiting for warm-up to complete, simply turn SG scanners on and scan! 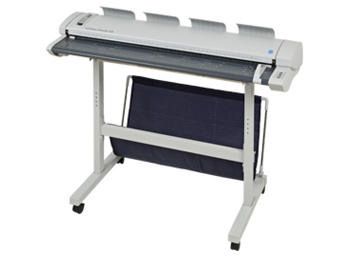 Max Scan Width 36" 36" 36"
Max Media Thickness 0.08" 0.08" 0.08"
Min Document Size 6" x 6" 6" x 6" 6" x 6"
Weight & Dimensions (WxHxD) Scanner: 58.4lbs 45" x 6" x 15"
Packaged: 60.0lbs 50.6" x 9.3" xа 20.1"
Fast, high quality scans from power-on, no warm-up, no waiting! Comes with standard N/A years warranty.